Festivals in the Land of the Thunder Dragon are rich and happy expressions of its ancient Buddhist culture. 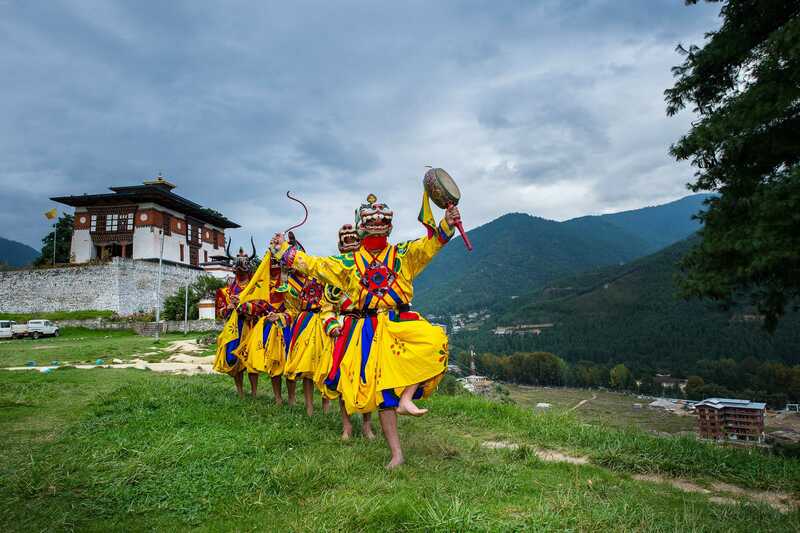 These festivals are held in all districts in honour of Guru Rinpoche, the saint who introduced Buddhism to Bhutan in the 8th century. Tsechus are held on auspicious days and months in the Bhutanese calendar, and last up to four days in which a series of highly stylised masked dance rituals are performed. Festivals are also a big family and social occasions. People dress up in their finest clothes and most resplendent jewelry of coral and turquoise. They pack picnic lunches in their traditional bamboo baskets and stay all day at the festivals which are usually held in the dzongs (fortresses) or at monasteries.